Non-lethal methods were more effective than lethal methods in preventing carnivore predation on livestock generally; at least two lethal methods (government culling or regulated, public hunting) were followed by increases in predation on livestock; zero tests of non-lethal methods had counterproductive effects. MILL VALLEY, Calif. Sept. 1, 2016 – From their review of the prevailing research into lethal and non-lethal predator control practices in North America and Europe, an international trio of environmental scientists has determined that the science behind the reviewed research is not very scientific. In fact, the authors of the review- titled “Predator Control Should Not be a Shot in the Dark”- call for a moratorium on lethal predator control policies until researchers adopt higher testing standards. 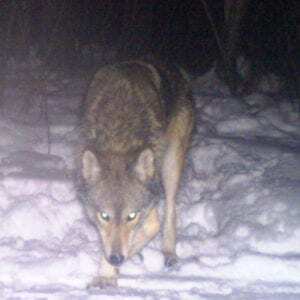 The new findings are being hailed by wildlife conservation groups like Project Coyote, which have questioned traditional predator management policies and practices as carried out by the U.S. Department of Agriculture’s Wildlife Services program. The authors of the peer-reviewed article, which appears in today’s edition of Frontiers in Ecology and the Environment, a journal published by the Ecological Society of America, are Dr. Adrian Treves, a Harvard-trained associate professor at the Nelson Institute for Environmental Studies at the University of Wisconsin, Madison; Dr. Miha Krofel, a assistant professor & wildlife researcher in the Department of Forestry at the University of Ljubljana in Ljubljana, Slovenia; and Jeannine McManus, a graduate student at the School of Animal Plants and Sciences at the University of the Witwatersrand in Johannesburg, South Africa. With little rigorous, scientific testing available, farmers and ranchers have historically relied upon taxpayer subsidized lethal predator control programs to protect their livestock. The authors’ research findings show that scientific studies that have proliferated since the 1970s have disproportionately supported lethal methods of predator management. In an effort to systematically evaluate the totality of the scientific research on lethal versus non-lethal predator management, the reviewers screened all of the relevant research – 500 discrete projects in all. Of those, only two experiments met the gold standard for reliability, as defined by the authors of the review. For their assessment, the reviewers adopted the gold standard currently in force for biomedical research, which requires random assignment to treatment and to control groups. This provides a guarantee against bias and increases the opportunity for strong inference – an essential component of good science. The authors point out that it is the research they rejected for non-random assignment, poor methods and other design flaws that has been used by government agencies to make lethal management policy. In 2014, the U.S. Department of Agriculture’s Wildlife Services (USDA WS) program exterminated 796 bobcats, 322 wolves, 580 black bears, 305 cougars, 1,186 red foxes, and 61,702 coyotes. Wildlife Services reports that across the United States, it spent about $127 million in fiscal year 2014 to kill 2.7 million animals, including 322 wolves. For decades, wildlife conservationists and scientists have condemned the indiscriminate and lethal approach to predator management as carried out by state wildlife agencies and the USDA WS. However, the agencies have justified their actions by claiming that science supports the killing of hundreds of thousands of predators each year, largely at the behest of ranchers and agribusiness. Click here for a Short Slide Show summarizing the findings. Error: Error validating access token: Session has expired on Friday, 22-Mar-19 12:26:11 PDT. The current time is Sunday, 21-Apr-19 03:14:07 PDT.